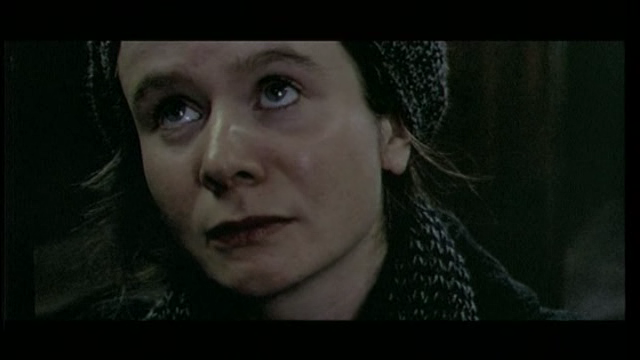 Bess McNeill (Emily Watson) petitions to an all-male Christian council to be married to an outsider, Jan Nyman (Stellan Skarsgard). She tells them that the outsiders are good because of their music, her eyes telling the camera that she isn’t talking about music at all. It’s already been established that her community’s very patriarchal, that even in the beginning, a beloved member of a community and her family will be addressed with the words ‘Hold your tongue, woman.’ Or that women in her community are not allowed to discuss questions during church like men. Or that this society relegates women to waiting for their men for long periods of time as they go to work on the rigs. These first scenes already denote the film’s themes – a young woman’s blossoming sexuality clashing with patriarchal suffocation. In no way do these scenes prepare us for the film’s second half, putting Bess in an emotional roller coaster on earth previously unimaginable. Women are forbidden to go to funerals. Antony Dod Mantle (not pictured, not that I know) will rise again to win an Oscar. Bess has put a heart on November 26 on her calendar, marking Jan’s scheduled return. 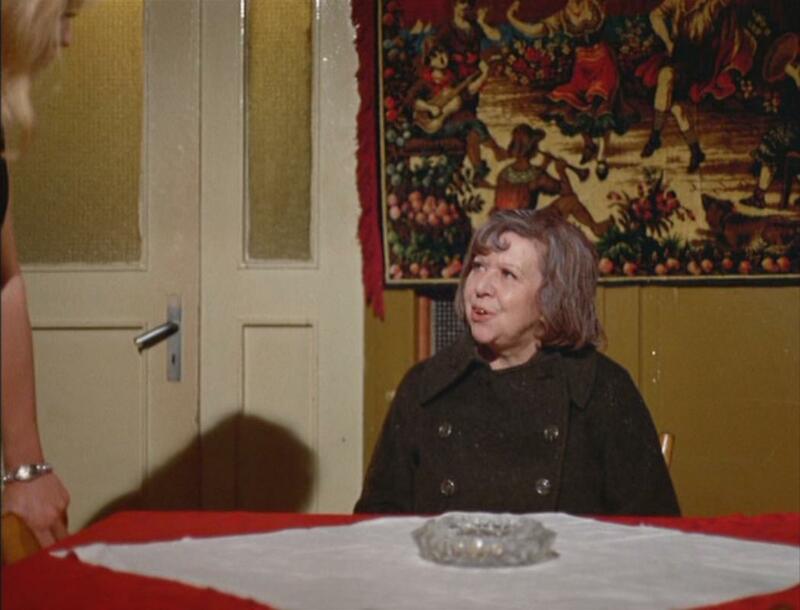 She lets out a childlike outburst when she finds out that her sister Dodo has ripped and hidden the calendar. She wrestles with God (Watson in a deeper voice, don’t ask) for her husband to return ten days before he’s supposed to come. God tells her that she’s changed but nonetheless grants her wish. I watched the movie on November 27, thirty something years and a day after Jan’s supposed to come back. I’ve had at least a week to think about the film’s ending. Sure she didn’t plan for her husband’s debilitating injury. Nonetheless, Bess got the best possible escape to her situation. I wish I can have someone to politely argue against this film with me. I’m usually good to subscribe to feminist, politically correct readings that speak out against auteur’s misogyny. Yes, showing a woman being oppressed isn’t enough to be the equivalent of a statement that women shouldn’t be oppressed, as many aueturs and apologist critics and film writers have lazily tried to argue. von Trier, from the only other movie I’ve seen of his, gives his women 150 seconds of victory to erase 150 minutes of degradation. It’s up to you the audience to buy that, which I do. Yes, change is the only way to combat a patriarchal society. Yes, Bess is still dead. However, it’s not as if Bess can move to New York City and burn her bra. Yet her sacrifices ensured her husband’s convalescence who in turn can defend her right for a proper burial. Dodo eviscerating the men at Bess’ funeral seems satisfying. 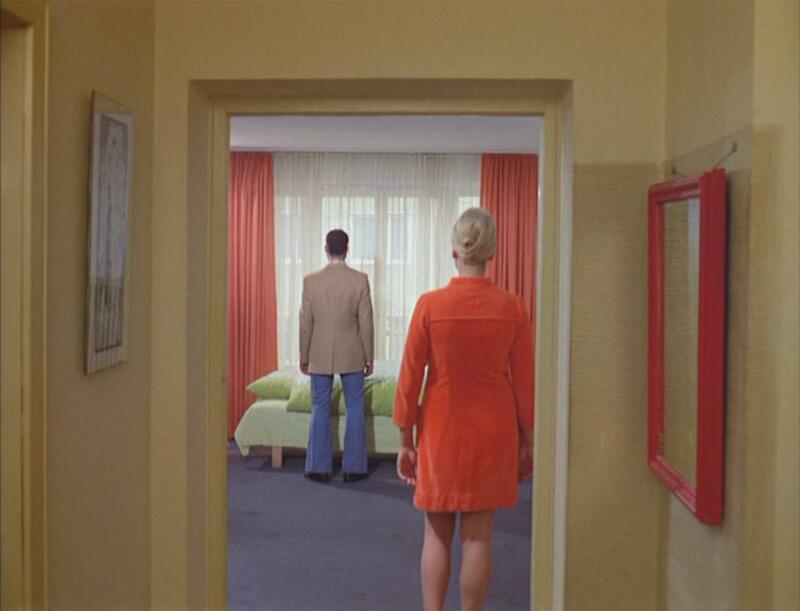 Lastly, von Trier successfully makes his audience believe that Bess did go to heaven. I know I should have a problem with the material, but I don’t. I’ve seen Crouching Tiger, Hidden Dragon in parts before, watching Li Mu Bai (Chow Yun-Fat) and Shu Lien (Michelle Yeoh) sharing tea together and talking about their repressed feelings. Jen Yu (Zhang Ziyi)reminiscing about her lost years in the desert. They make me feel like I’m watching a story from Regency period in England as it is a story taking place probably in third century China. But then this movie has fights in them so I know what kind of movie I’m watching. These characters have already made an impression on me before finally seeing the film in entirety, in layman’s terms, knowing what they’re already like. So I don’t know what it is seeing Shu Lien skip towards the common room to greet Li that strikes me, her feelings emanating through her face and posture. I’m not even sure if this image from the film perfectly captures a young lover within someone supposedly more mature and controlled, because she goes back to being more formal within a split second. I’m comparing this introduction to Shu Lien’s character with the way the film introduces Jen, a demure aristocrat in disguise. Shu Lien’s introduction, however, is a revelation. I use that word even if it doesn’t feel like the rest of her character is lying to herself. She isn’t, she’s just disallowing herself that bit of freedom other thinks she deserve. There are other women in disguise – like Jade Fox (Cheng Pei-Pei), who trained Jen masquerading as the latter’s governess and a policeman’s daughter calling herself a circus performer while trying to find Fox, Jen hiding her own talent from Fox and from the rest of the world. The social strata calls for the female characters to go into these disguises, at the same time this game of pretend allows them to act out freedom and aggression. When other characters, male and female, allow them some defiance, they take on the chance. 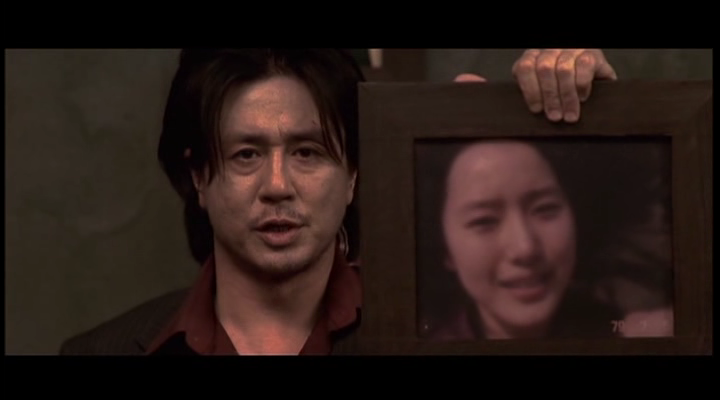 An example would be the scene when the daughter tells an inspector of her certain belief that a murderer is living under Governor Yu’s household, letting her father’s blood on her shoulder seen by Sir Te. In a way, this story is just about these two leading women as it is about the Green Destiny. One wants what the other has. There’s also some delicious passive aggressiveness between them specifically from Shu Lien’s part. She tells Jen that she’s happy for Jen’s engagement, temporarily killing the latter’s fantasies of becoming a warrior. She also invites Jen and her mother in guise of an engagement party to test the latter, giving her faint praise after damnation. Jen of course gives the results Shu Lien expects, and does so either because of carelessness, vanity or both. The differences between them are constant until the end, when one goes one direction and the other chooses drastically different. One presumably moves on despite of the death around her, while the other can no longer accept happiness because of the past. Andrei Tarkovsky‘s first film Andrei Rublev, like his later films, is known for his impressionistic environments inhabited by characters who exist as poetic entities. He’s also known for making movies with a long duration period. Both elements don’t make the best combination for me, but the film does have a lot of merits. Also, watch the film on the big screen if you can. The tenebrism and the close-ups look better in that format. Nonetheless, the film for me doesn’t really start until three icon painters, Kirill (Ivan Lapikov), Danill (Nikolai Grinko), and Andrei (Anatoli Solonitsyn) set off and stop their rainy journey on a barn where a jester (Rolan Bykov) is performing for other townsfolk. His performance is physical, lively, lewd. The townsfolk repeat awatered down version of his song. Andrei stares and observes the jester like every other kid who didn’t know that staring is bad manners. He sees the man after the performance, tired but not necessarily in agony. He might even feel a camaraderie with the man, unappreciated for his talents that he exhausts himself for. Kirill steps in and says that the devil brought jesters into the world, although Andrei doesn’t show that he agrees with Kirill. The content of the jester’s song reached to some authorities, who have him arrested. Kirill enters Theophanes the Greek‘s home. Kirill praises him and criticizes the man Theophanes has asked about – Andrei Rublyov. This is pretty much where I drool and bring up my art history background. Fifteenth century Russian icons were at the tail end on the Medieval chapter. All I knew about the era were Italians. Another impression I had of the Byzantine/Orthodox art was its rigidity, and that the image was more important. Obviously I wasn’t paying attention about the superstars of the era, which Theophanes has been and Andrei, at this part of the story, could potentially be. Anyway, Kirill’s main criticism of Andrei is that the latter didn’t seem to believe. Imparting his ‘opinion’ to the master, Kirill pleads for a public appointment to be the latter’s apprentice. Theophanes hilariously – just to me – chooses the younger, more handsome Andrei instead, making Kirill really angry and denounces the monastery where they all live. Andrei then embarks on a second journey, the beginning of a new section in his life where he’ll see memorable sights and events along the way. These demonic moments eventually follow him through the town of Vladimir, where he’s commissioned. At least one does he take part in the lustful, violent world he only knows through theory, a Russia he hasn’t really been exposed to. 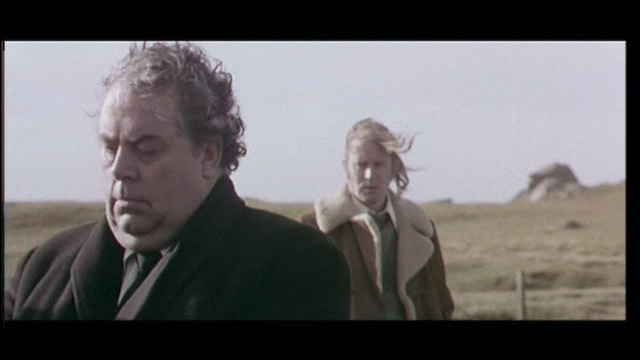 He neither becomes lustful nor violent, but his experiences in this part of the plot posts the film’s real conundrum. Whether he’s passing through hell, passing through the real Russia, wondering how human beings can let a world become this degenerate and if all this exposure, participation and sympathy for evildoers makes someone a good or bad person. 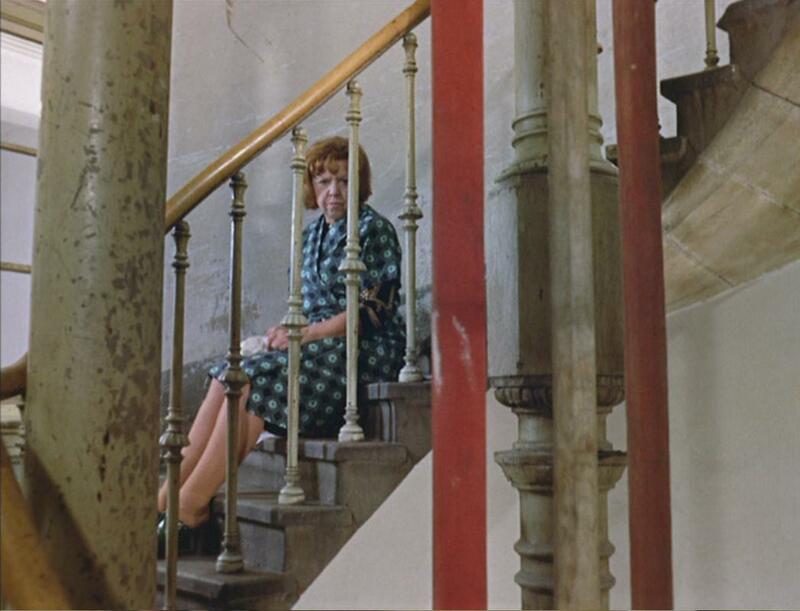 Tarkovsky doesn’t answer the questions more easily for us by depicting these devilish images with beauty, the long takes used to capture them letting his audience contemplate on moral dualities. The Tatars raid Vladimir, and more than a decade later, many of the characters around Andrei have died, and those who haven’t are destroyed. The jester has little sense of humour left in him, and his bitter towards Andrei and accuses the latter of putting him in jail. He points out that Andrei has lost his looks, which isn’t Andrei’s biggest problem since Andrei has turned down work for a decade. 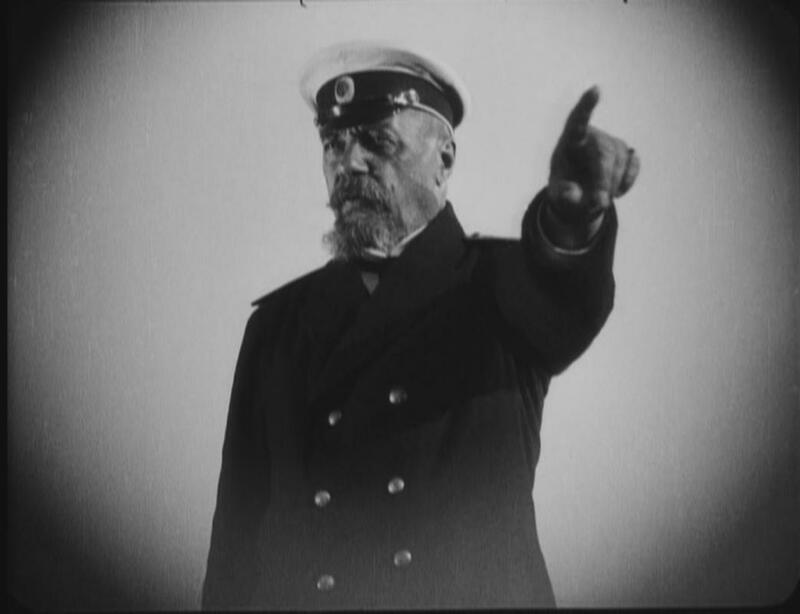 The two are opposite a young bell maker’s son Boriska (Nikolay Burlyaev) trying to fill his father’s shoes, energizing the town in the process. Andrei observes the kid as he ha observed the jester in the past, as the audience wonders how the child’s efforts affect Andrei and his rusting talents. Let me just begin by saying that this is the campiest western I’ve seen so far. 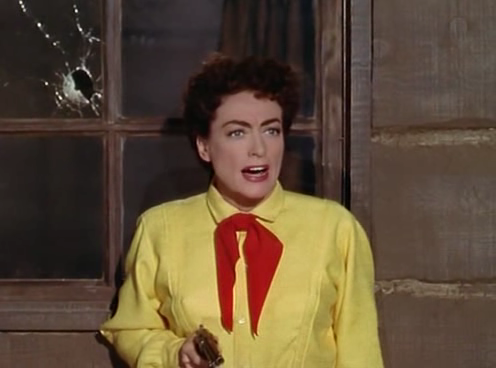 Emma Small (Mercedes McCambridge) rushes into Vienna’s (Joan Crawford) casino and accusing her of hiring the Dancing Kid for a stagecoach ambush that killed her brother. They throw empty threats about each other’s gunnery or gunship or whatever that will make Joan Collins pale in comparison. Emma throws remarks that eventually reveals her secret desire for the Dancing Kid and resentment of Vienna’s plans to introduce a train line to the insular town. McIvers (Ward Bond), who is in Emma’s team, instates a law to ban gambling and drinking outside town limits, crippling Vienna’s business. That’s just the first scene. Then the Dancing Kid robs a bank because he thinks it’s a good idea. 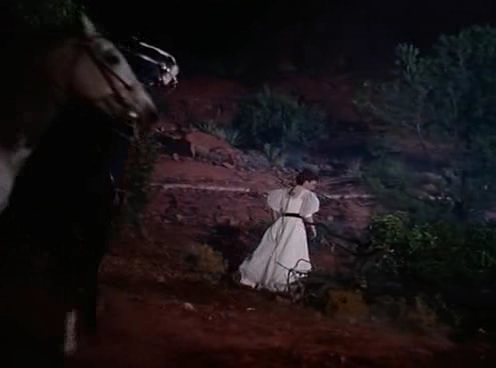 This is the first time I notice the colour black in costume to pop out in a western. While Emma and her people wear the dusty browns of typical Western costume, Vienna wears black. She seems like the villain in this part of the film. She’s also more showy in her affluence, also wearing pants to show one of her employees’ endearing quips about being more manly and making him feel like less of one. The next day shows an inversion of that duality. Vienna has a few costume changes while the mob keeps wearing their mourning black and staining it while hunting for their usual suspects. Vienna’s a woman who has to transform herself because of her past, present and future, the mob keep on to old grudges and bring with them a wave of revenge and death. 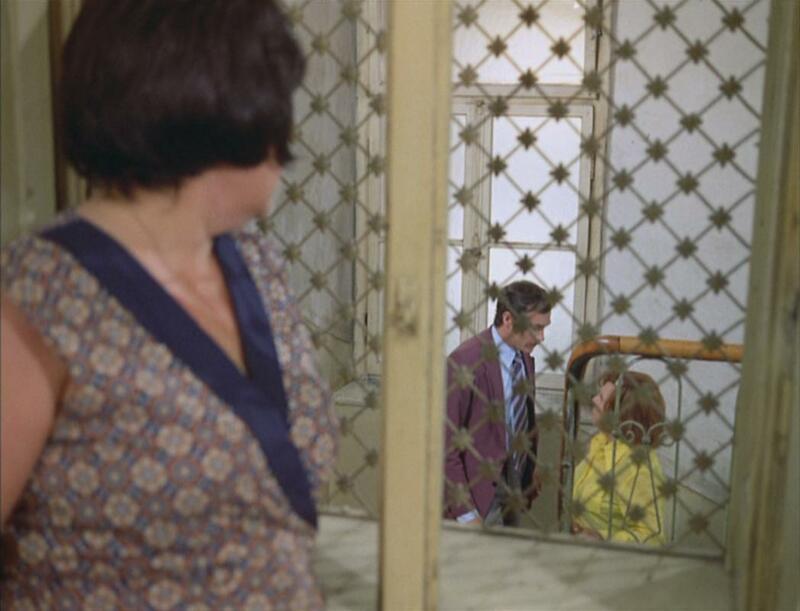 After the bank robbery come the best scenes of the film, for my shallow and subjective reasons. Vienna lights the oil lamps of a chandelier, wearing a white dress that looks like she’s hosting a ball in Europe instead of closing shop in the West. 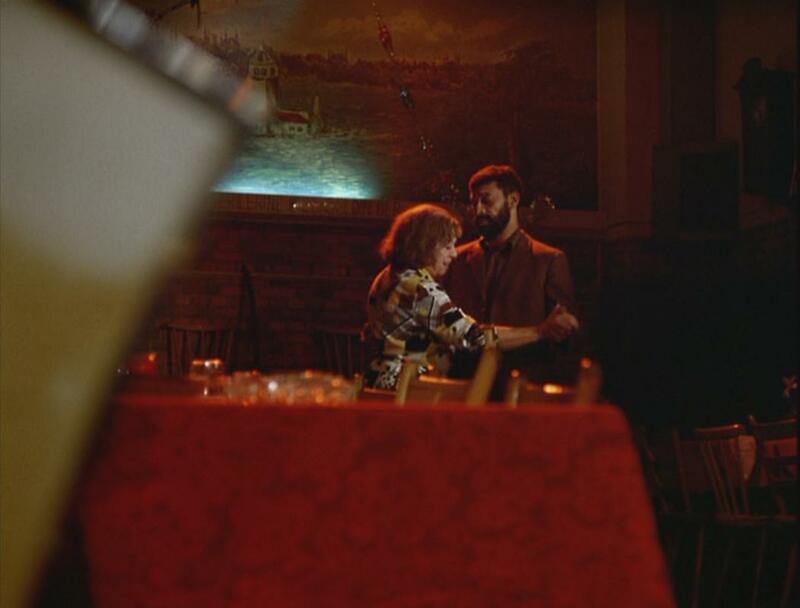 Then one of the Dancing Kid’s collaborators, Turkey, totters into her saloon. Despite the hallowed Lightbox screening, I gasped loudly ‘No!’ Don’t ruin the dress. Thank God. Vienna shows us a BAMF move, playing a piano peacefully despite of Emma’s shrill (sorry) accusations. The lynch mob tries to finish off Vienna but she escapes. The red dust of the West doesn’t even touch the dress. My eyebrow is raising. Vienna and the titular Johnny ‘Guitar’ Logan (Sterling Hayden) escape to a mine shaft under the former’s now burnt down saloon. 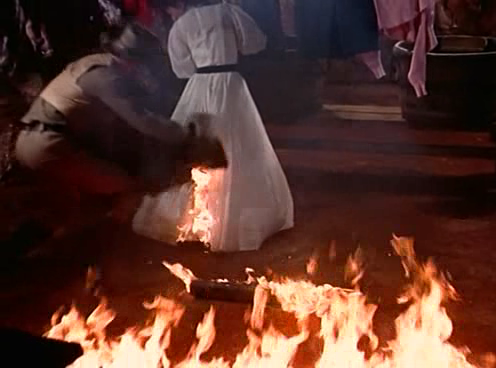 A little burning wooden beam falls down on Vienna’s dress. Finally. Despite of how well some of her contemporaries have aged, it’s still strange to see Joan Crawford try and succeed to pull off something like that. But then it’s not like the film was trying to hide her age. As Vienna, she has a history, but she knows how to take care of herself. I’ll make a last sartorial note about the film about the final showdown. Vienna and Johnny escape through a waterfall to the Dancing Kid’s lair. The Kid offers her dry clothes – Turkey’s. Vienna shoots Emma wearing Turkey’s yellow shirt, although she looks like she cans hoot a gun better than Turkey would. In a way, she helps him get a revenge he may have asked for. 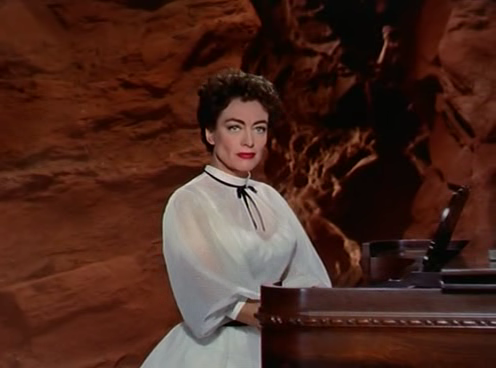 Johnny Guitar is part of TIFF’s 100, a strange choice for the campy movie being championed by critics today. TIFF’s write-up of the film touched on the movie having the two strongest female characters in film history. I agree in a way that it took me four years and this movie to know that there’s a movie out there that has two women in opposing ends of gun mobs. 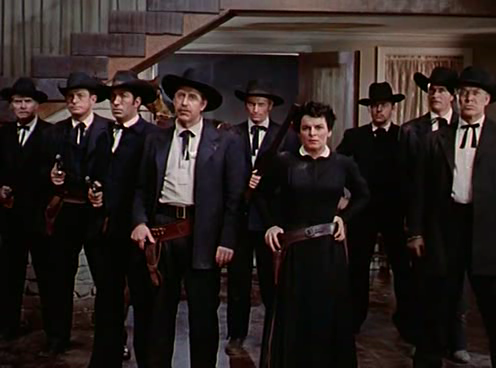 And yes, the men in the film are as useful as the guns themselves, rarely opposing the women who lead them. They do subvert stereotypes of good and evil, virgin and whore. And of course, Vienna and Emma are better than many female characters today. But are these female characters only strong in comparison? 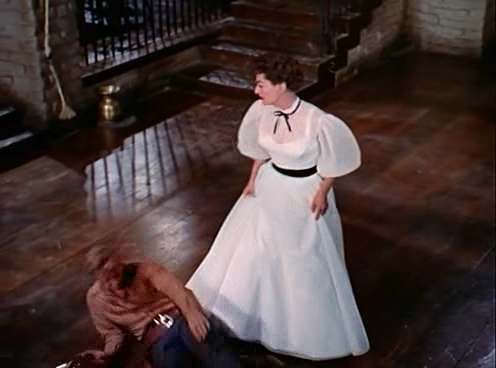 Johnny Guitar, directed by pot-stirrer Nicholas Ray with a supporting cast including Ernest Borgnine and John Carradine, is on again at the Lightbox on November 20th at 6PM. Oldboy is a movie that shows the sloppiest fights I’ve seen in film, adding realism to the video game rules applied in most action films. Protagonist O Dae-su is imprisoned for fifteen years in an accommodating yet sadistic facility. One of the things he does in his stay in the facility is his self-training in martial arts, and has the callused knuckles to show for it. Nonetheless, he has to be hurt before he hurts the mob on the other side of the fight. And his lack of exposure to other human beings during 15 years hasn’t been an advantage to him in physical encounters. It’s hard to find humanity in a movie that starts with blatantly Asian pop soundtrack and threats of violence, but the audience will find that treasure ten minutes into the film. His forced monasticism didn’t dull his mind but actually made him think and remember things. 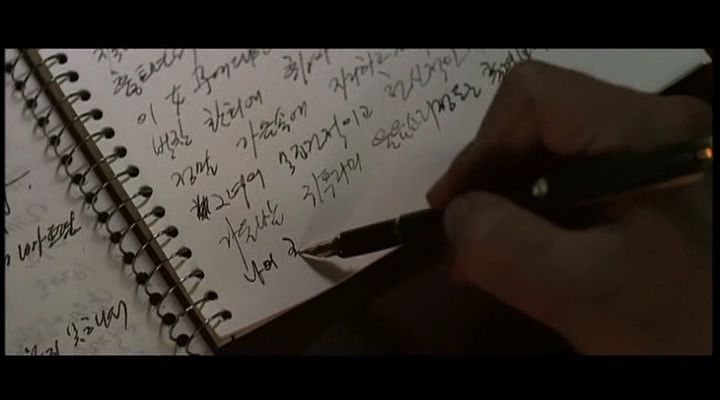 In the latter half of those years in his prison, he decides to write a list of all the people he’s hurt. He narrates ‘I thought I lived a normal life, but there was so much wrongdoing.’ There’s so much truth to that question on whether his past has come to haunt him and how his damnation starts in his adult life. I know that’s a Christian approach to an Eastern text, but the character did go to a Catholic school. As he is released from the prison, he tries to find out who has taken him there and avenge himself, but that involves retracing his steps. 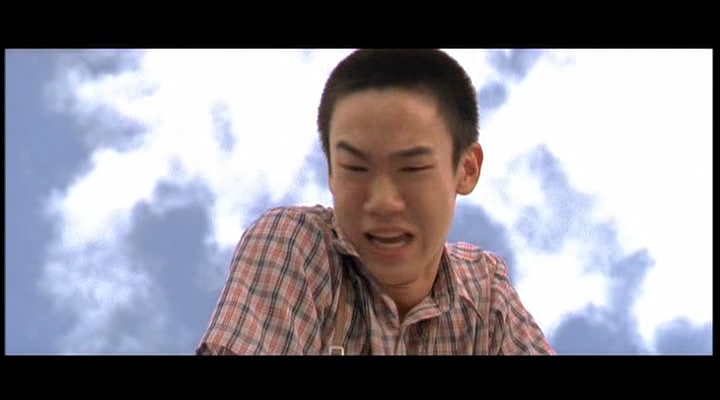 Remembering his young self leads to flashbacks in the film, showing a young man with a shaved head and no resemblance to him. In one of the film’s final scenes he finally gets to talk with Lee, the man who has imprisoned him, also looking nothing like his supposed younger self. The scene show how withered Oh Dae-su as compared to Lee’s self-preservation. Eventually, the men and their younger versions are edited more closely into the scene showing that yes, they do look like their young selves, both of whom have no idea how their actions and obliviousness would anchor their fates.